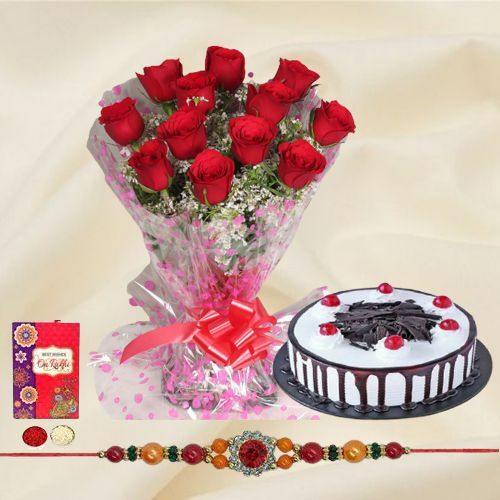 Add a magical charm to the festive mood of Raksha Bandhan by ordering online this Beautiful Gift of Ambrosial Black Forest Cake accompanied with a Bunch of 12 Red Roses whose beauty is elegantly amplified in the presence of a free Rakhi, Roli Tilak and Chawal. The weight of the Cake is 500 gms. The formation of the Rakhi may differs.